Perfect for 80% receiver builds! This is a standard NON anodized Mil-Spec flat top M4 upper receiver with engraved T markings. These are made from 7075-T6 forgings to Mil-Spec. 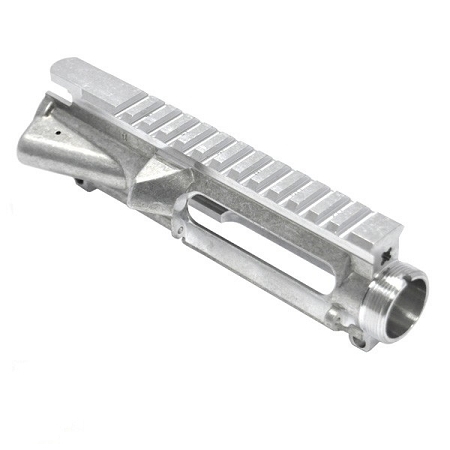 These upper receivers have not been anodized so that any finish can be applied.